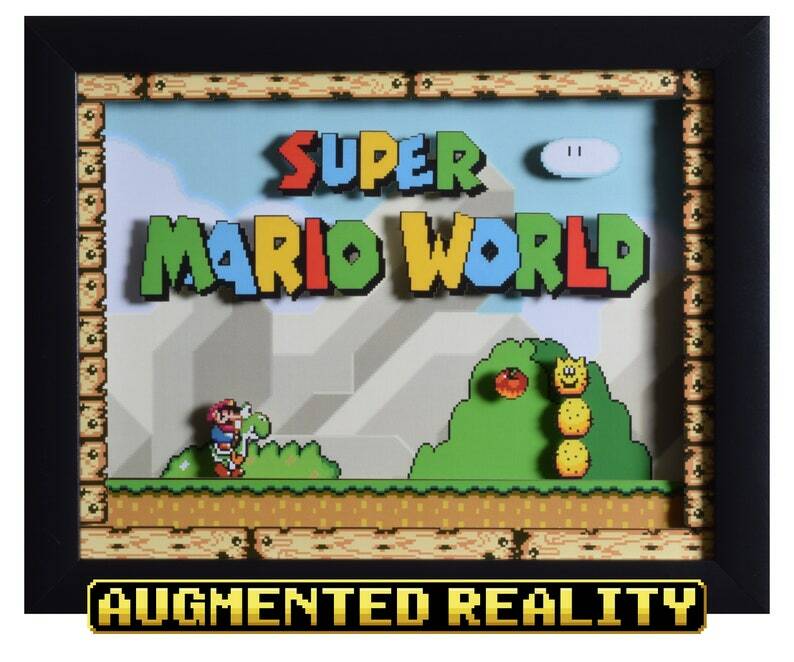 Video Game Shadow Box presents Super Mario World (Super Nintendo) - "Title Screen"
Super Mario World had an art style that raised the bar for all future video games. The world was so colorful and beautiful and it remains that way 25 years later. Imagine seeing it for the first time as a kid! I love this scene because you can easily predict what's gonna happen next. If you've played the game, I bet you can already hear Yoshi's gulp sound in your head. Absolutely lovely. Shipped super fast. Great gift idea for the gamer in your life. Hand written notes from the artist was a wonderful addition! Superb work. Item arrived in pristine condition. Packing and shipping were done with great care. Arrival time was very quick. Thank you!